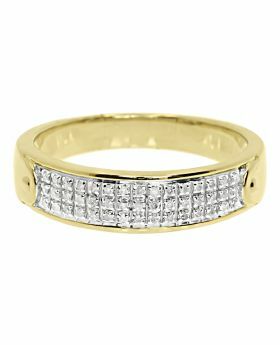 Men's and Ladies' 14K Two Tone Gold Channel Set Duo Wedding Band Ring Set 1.0ct. 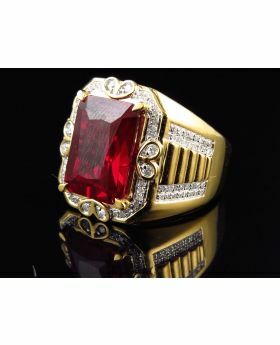 This set comes in a beautiful presentation box with in-house appraisal. 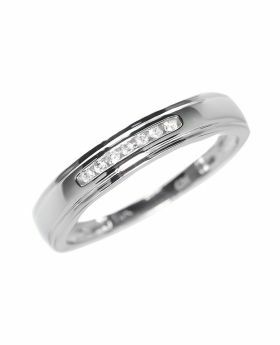 On your wedding day, seal your commitment with the perfect band set as a symbol of your matrimony. This duo set is beautifully fashioned in 14k rose gold and white gold, this gorgeous style lights up with shimmering diamonds. 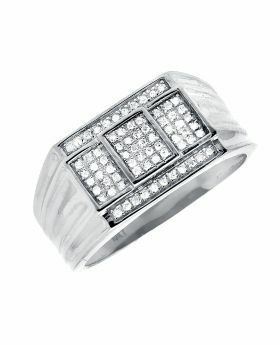 The ring's three sectional division comprises of four diamonds in each in a gorgeous channel setting. 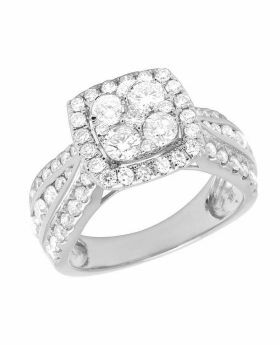 This amazing ring captivates 1.0 ct. diamonds ranking G-H color, SI1-SI3 clarity. The grooved detailing gives the set a thoughtful touch. 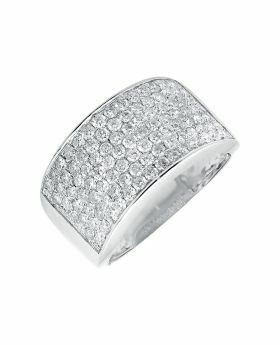 The men's band has 8MM wide shank and the ladies' band is 6.5MM wide. This comfort set weighs approx 15.3 grams. A perfect way to exchange vows and say, "I do." 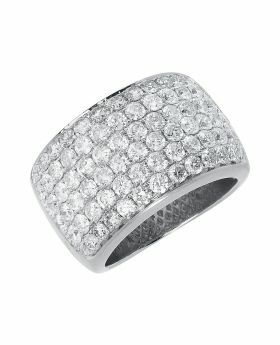 All diamonds are 100% natural. 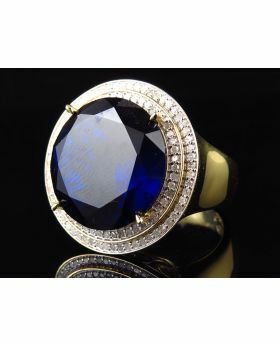 This duo set is also available in yellow gold. 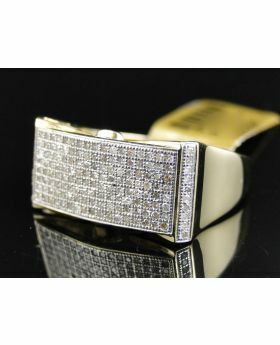 Men's band available in size 10, ladies' band in size 7. Can be sized upon request for an additional charge. 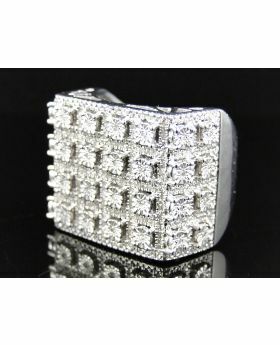 10K White Gold Cube Step Composite Diamond Ring Band 0.40ct.